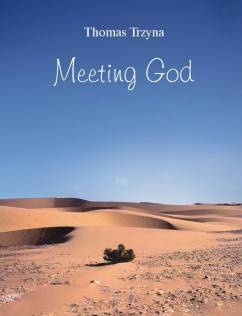 Based on extensive research into the history of the Sufi guide Al Khidr, Meeting God explores the early development of Asian religion and the close relationships among Islamic and Christian saints. Meeting God traces this mysterious figure from the story of Eden and the Epic of Gilgamesh to the medieval English poem Sir Gawain and the Green Knight and into contemporary Arabia and California. Meeting God draws on the author's travels in Arabia and his conversations with scholars and leaders in the United Arab Emirates and the Sultanate of Oman, as well as on discussions with people who claim to have met Al Khidr. Editor of The Complete Poetry of Theresa of Avila. Dr. THOMAS TRZYNA was educated at the University of California at Berkeley, the University of California at San Diego, and the University of Washington. He taught at Ohio State University. Dr. Thomas Trzyna is currently Professor of English at the Seattle Pacific University, where he teaches comparative religion, philosophy and literature. His service as an international educational consultant brought him into contact with many of the sources of Meeting God.